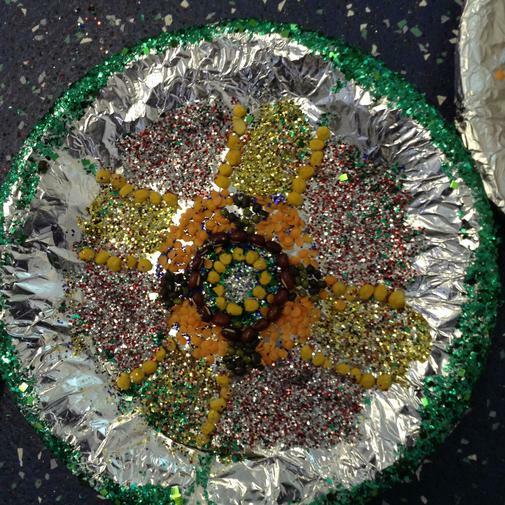 In Year 5/6 today we celebrated the Hindu festival of light (Diwali). 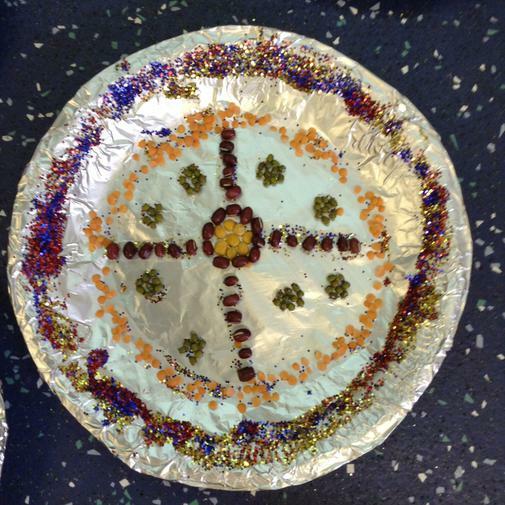 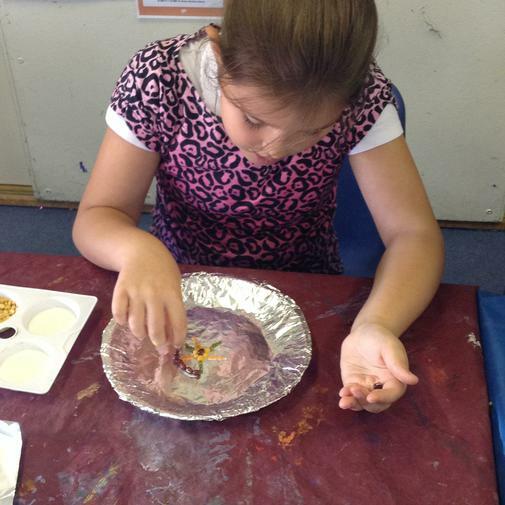 In Mr Scott's class, we made Puja Thali plates (traditional platters used during Diwali). 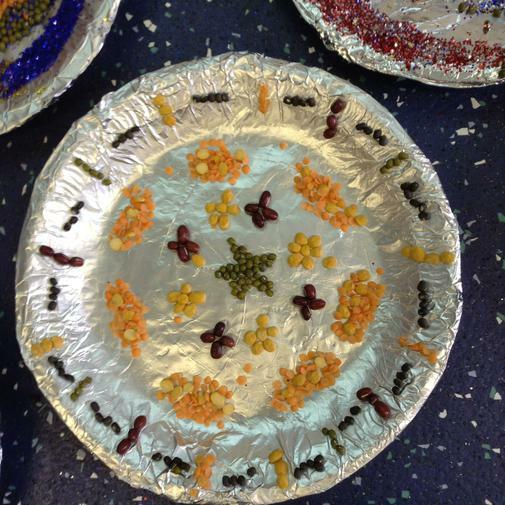 The children had to create their platters out of a mixture of natural ingredients (pulses and lentils) as well as some more traditional decorations, such as glitter. 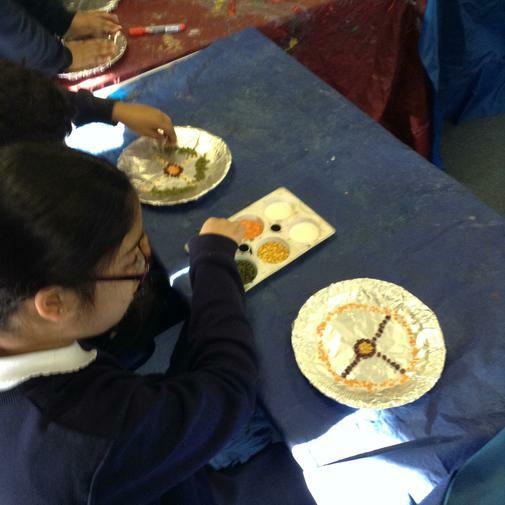 The plates needed to be symmetrical and have tessellating shapes throughout their designs. 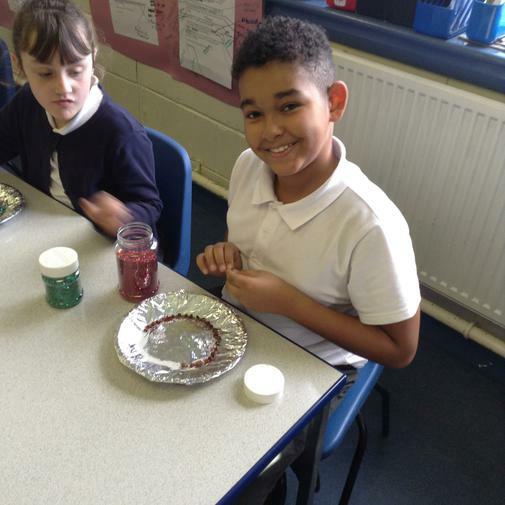 I think you will agree they did a great job! 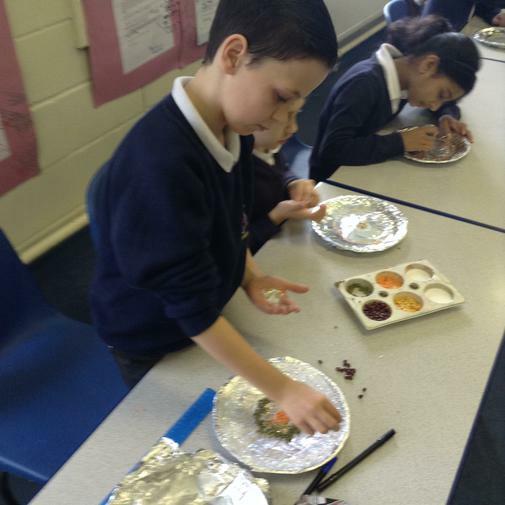 Outside of the classroom they got the opportunity to do an array of other activities including: taking part in a play and creating their own clay Diya candles.